WALLED LAKE, MI (December 29, 2016) – Maintaining customer relationships calls for easy-to-use technology. Lenders want to focus on closing more loans. Continuity Programs, Inc. is happy to introduce MyCRMDashboard. MyCRMDashboard is the only solution loan officers need. This CRM system takes care of communications with customers and prospects for them. 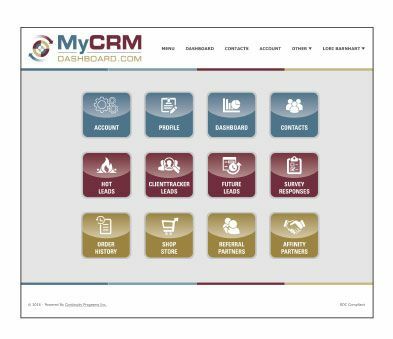 To learn more about MyCRMDashboard and request a demo visit continuityprograms.com/mortgage-financial-marketing/. Continuity Programs, Inc. serves lenders with easy-to-use customer relationship management (CRM) and automated marketing solutions. Since 1973, Continuity Programs’ campaigns have consistently proven to drive referrals and repeat business, generate exclusive leads, increase customer retention, and boost cross-selling for financial institutions across the United States.